We are honored to present to you our multi-dimensional informative magazine ‘enlighten india’. We aim to be a publication that shares information, opinion and insight into current affairs, places, people, music and the world of fashion and entertainment. 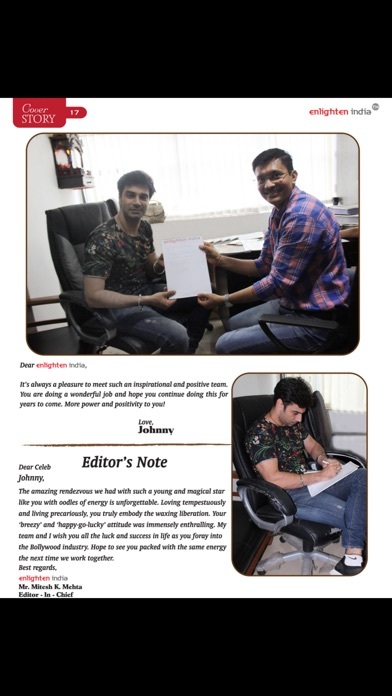 The enlighten india Group & Its Editorial Team have been and will always remain objective, candid & transparent. 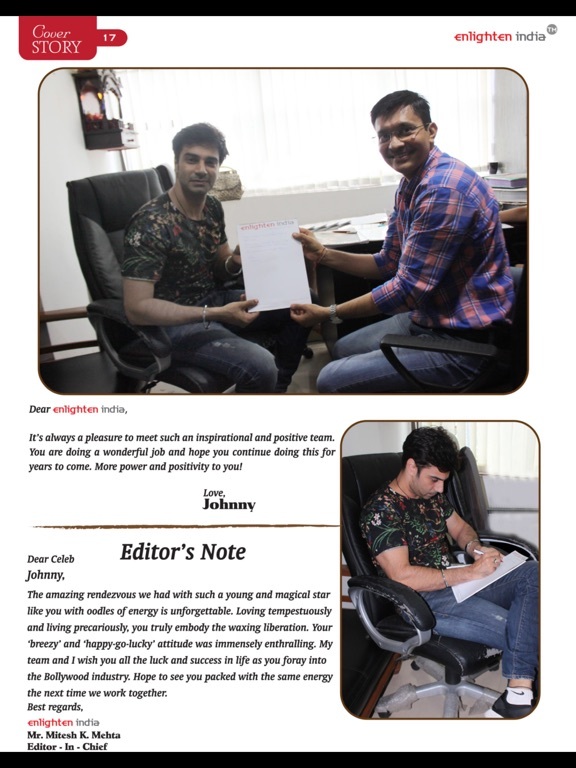 enlighten india has conducted interviews and covered articles that appeal to the masses and hence we have ensured that our target audience is not limited to a specific age group.